Several drownings in the River Lea are recorded on the Watts Memorial: those of William Donald in 1876 and George Blencowe in 1880. The problem of deaths in the river was obviously an ongoing one since it was raised in Parliament in 1896. One issue was the lack of proper fencing or walls along the banks, although this appears to have played no part in the incidents recorded in Postman's Park. Donald was bathing in the River Lea at Old Ford when his cousin, swimming with him, got into difficulties. Donald drowned trying to rescue him. There are two points of interest about this sad story. First, they were on their uncle's farm land (indeed, he saw them and went to help, but was too late to reach them). Today, his farm has been given over to light industrial use and looks across to the 2012 Olympics buildings. Second, as in Alice Ayres's case, the family relationship went unmentioned on the memorial: perhaps the rescue of a cousin sounded somehow less heroic than attempting to save a stranger. Sixteen-year-old George Blencowe drowned similarly, attempting to rescue a friend. When a twelve-year-old boy got into trouble swimming near the White Hart Inn on Hackney Marshes, his friend called to Blencowe for help. He swam out, but was dragged under the water by the panicking boy; when rescuers reached the pair, both had already died. The inquest jury would speak highly of Blencowe's bravery. These were not the only moments of danger suffered in the river. However, where the outcome was happier, it was left to other organisations to recognise a rescuer's bravery. Thus in 1909, 13-year-old Florence Manning was awarded a bronze medal by the Royal Humane Society after she saved a friend from drowning. 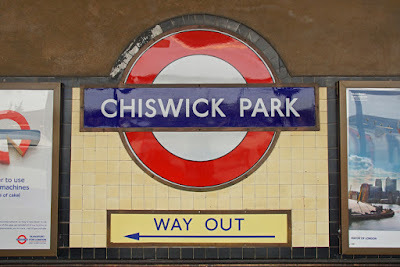 A distinctive Charles Holden-designed Underground station, Chiswick Park has actually been around since 1879 when it was known as Acton Green. 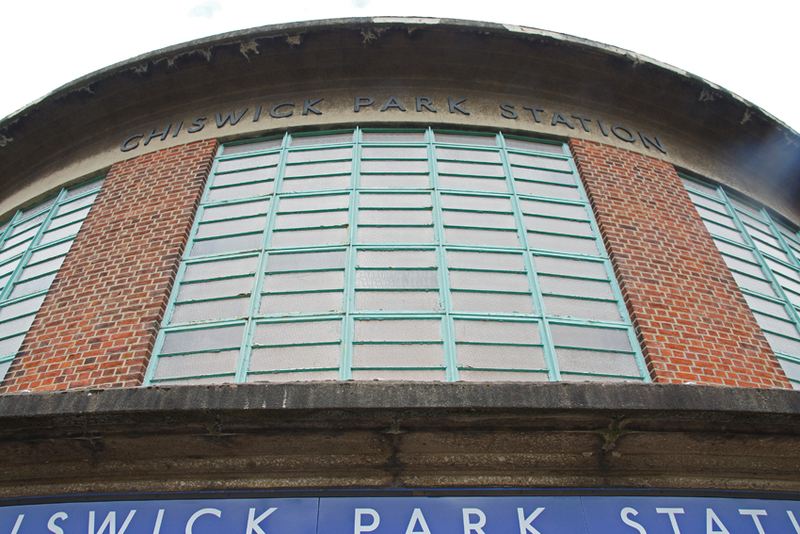 However, the coming of the Piccadilly Line necessitated its rebuilding in the 1930s. 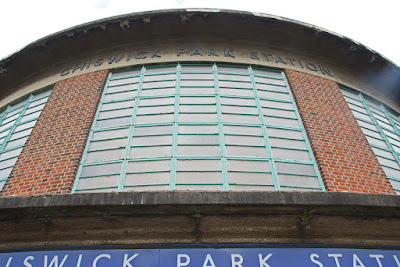 Not that the Piccadilly actually stops here - but it does pass through at speed, so new lines had to be constructed. With the general manager of the Underground, Frank Pick, Holden had toured Germany, the Netherlands and Scandinavia in 1930; this European influence was apparent in the stations of the following decade. Simple forms in brick, concrete and glass characterised his Piccadilly Line stations. 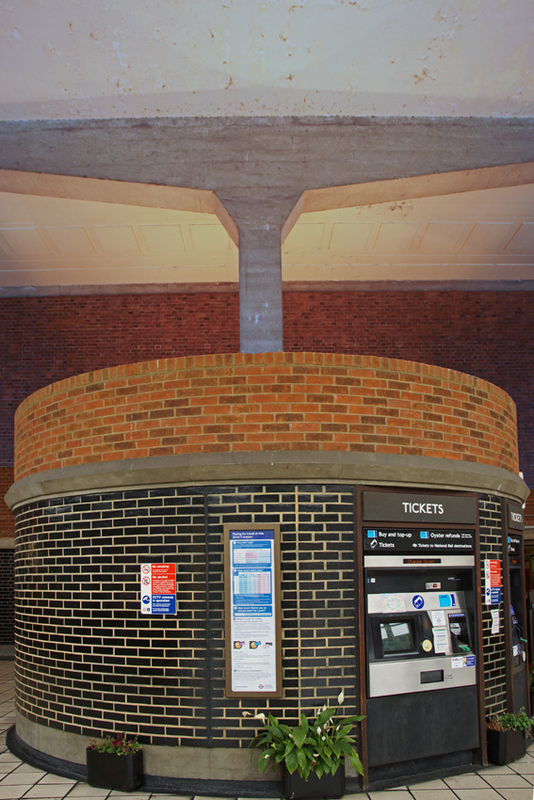 The curving lines and landmark tower of the station are familiar features; a circular concourse was used by him to great effect below ground at Piccadilly Circus, but this is a lovely example of its above-ground counterparts. Like Piccadilly Circus, it incorporates not only Tube functions but also retail spaces. 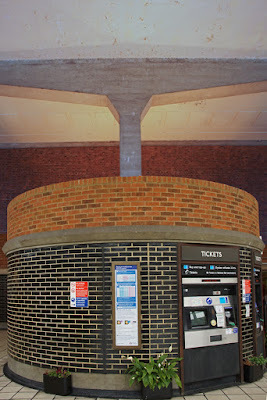 There is plenty to please the eye at platform level, too. The elegant concrete forms bear their security-camera accretions with quiet dignity, and a glass-walled shelter continues to offer limited respite from the weather. One piece of heritage has suffered, though. In the ticket hall are original signs showing Mark Lane station. 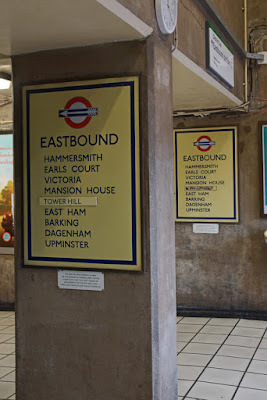 Sadly, though, while the signs are preserved, the original name of this station has the current name, 'Tower Hill', stuck over it. Garton Hill & Co were sugar refiners who had moved production from Southampton to Battersea in 1882. Their products included a specialist brewing sugar, Garton's Saccharum, described as fully inverted, free from impurities, and able to 'brew Beer surpassing even Burton Ales in brightness and endurance'. The company would continue (later under the name Manbre & Garton) until taken over by Tate & Lyle in 1976. In 1899, 21-year-old labourer Thomas Griffin suffered a fatal accident at the refinery. He was working in the hydraulic room when he heard an explosion. It came from a room where his colleague F Briggs worked, and he rushed into the steam shouting 'my mate, my mate'. When he emerged a few minutes later, he was terribly scalded; his workmates covered him in wet cloths and rushed him to Bolingbroke Hospital in Wandsworth. At the hospital, scalded all over and in shock, Griffin soon died from his injuries - just a few days before his marriage was due to take place. Awfully, his death was in vain: Briggs had already escaped unhurt. 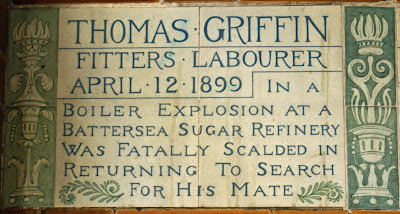 THOMAS GRIFFIN, FITTERS LABOURER APRIL 12 1899, IN A BOILER EXPLOSION AT A BATTERSEA SUGAR REFINERY WAS FATALLY SCALDED IN RETURNING TO SEARCH FOR HIS MATE. 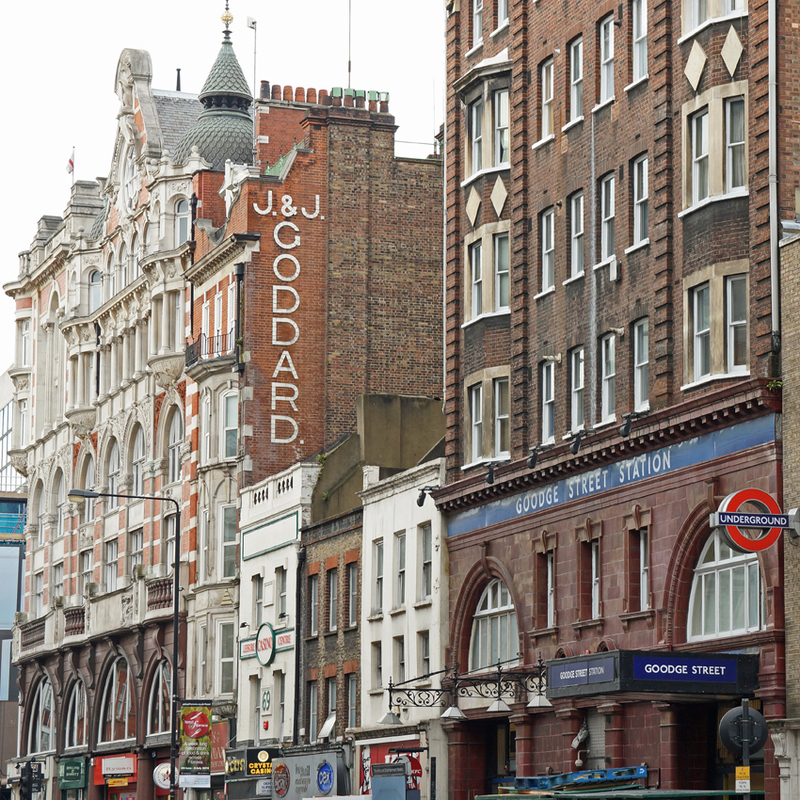 J&J Goddard's name stands out boldly, rising above the cluttered street-level signage around Goodge Street Station. It isn't strictly a ghost sign, since it's not painted onto the brick but tiled. However, it's too nice to ignore - I particularly like the careful, square full stops. J&J Goddard sold musical supplies including harmoniums and organ parts, and occupied 68 Tottenham Court Road from 1842 until the 1960s. Today, there are no more organ reeds or tuning forks: their place has been taken by a Scientologist storefront offering 'personality tests'. One of the peculiarities of the Watts Memorial is that it only records the deeds of those who died as a result of heroic acts. 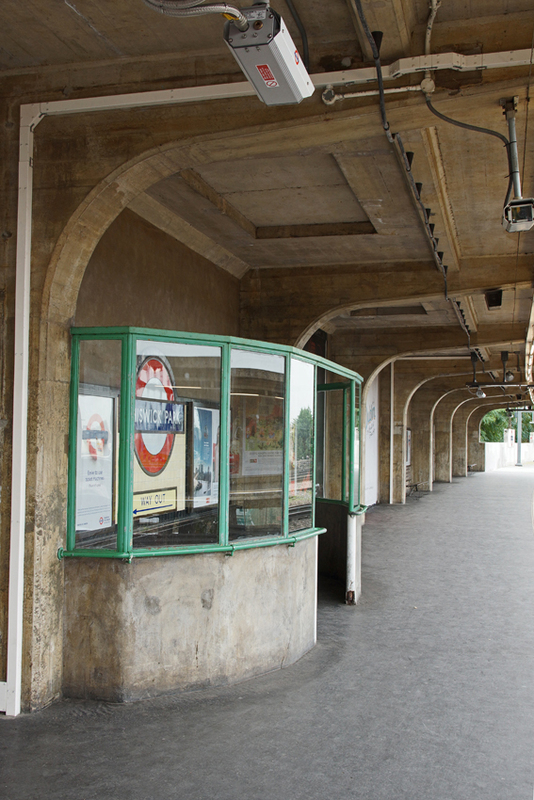 We can generally do no more than speculate as to what incidents went unrecorded as a result, but sometimes the gaps are obvious, as in the incident which led to the death of Edward Morris. EDWARD MORRIS, AGED 10, BATHING IN THE GRAND JUNCTION CANAL SACRIFICED HIS LIFE TO HELP HIS SINKING COMPANION, AUG 2 1897. However, the acts of bravery did not end there. While some passers-by on the towpath simply walked away, two fishermen went to the rescue. They were James Brown and Charles Simmonds, described as 'a cripple'. Despite his disability, Simmonds succeeded in pulling out Edward and Sidney. Sadly, both were dead. The coroner and jury praised the two men, particularly Simmonds, 'for their pluck'. However, having survived the tragedy, their names are unmentioned on the Watts Memorial. It may be best-known for its eighteenth-century collections and The Laughing Cavalier, but the Wallace Collection also has a fantastic armoury collection. It's well-placed, then, to host an exhibition marking the 600th anniversary of the Battle of Agincourt. There's another connection, too: when Laurence Olivier made his famous film of Henry V, his historical advisor was Sir James Mann - former curator at the Wallace Collection. The 1944 film has created the most famous images of the battle (but also helped cement some of Shakespeare's most enduring mythology about it, as well as adding a few extras). 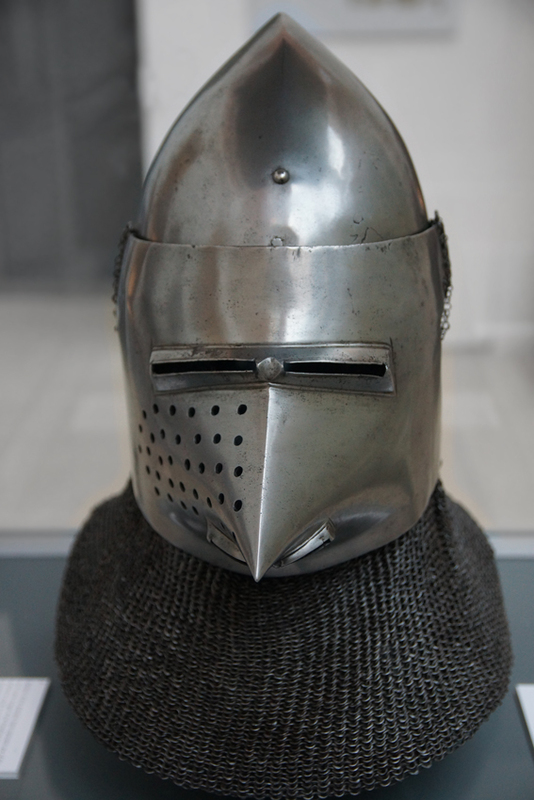 Current curator Tobias Capwell understands these things better than most: as well as his academic knowledge of the period's armour, he has practical experience thanks to having ridden in armour - and jousted - extensively. He busted some more myths at an Agincourt-themed evening organised by London Calling: the English were outnumbered by the French, but not nearly as heavily as Shakespeare suggested; it wasn't a victory against the odds as, numbers aside, most factors were in Henry's favour; the English army was not exhausted; and no one fighting in the battle was simultaneously suffering from dysentry! The exhibition surprises in other ways. 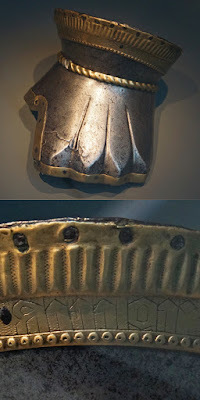 The chivalric ethos could be very different to modern ideals, so we have the jarring sight of a pair of gauntlets engraved with the word 'love'. It is not partnered with 'hate' in a mediaeval equivalent to knuckle tattoos, but repeated as an expression of what inspired knights in battle. A tour of the permanent collections brought more discoveries.The biggest is that the displays are virtually unchanged since 1908, making them a museum of a museum. They represent two collections - of the comte de Nieuwerkerke, Napoleon III's Director of Fine Arts, and of Sir Samuel Rush Meyrick - both purchased by Sir Richard Wallace in 1871. 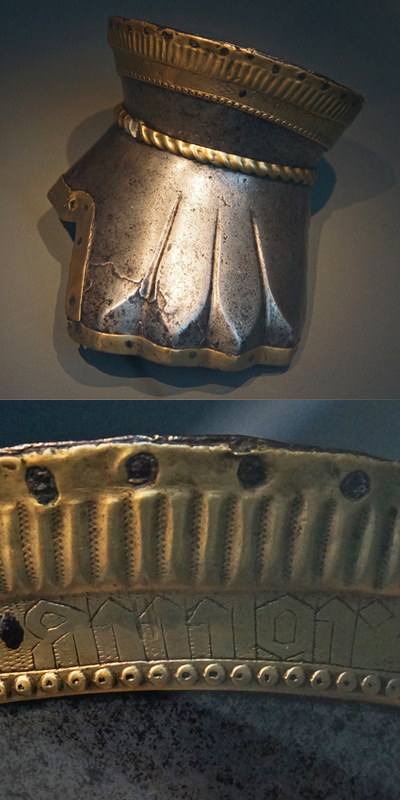 Almost all the pieces in these displays were made for fighting rather than display - even an extraordinarily elaborate dragon's-head helmet. 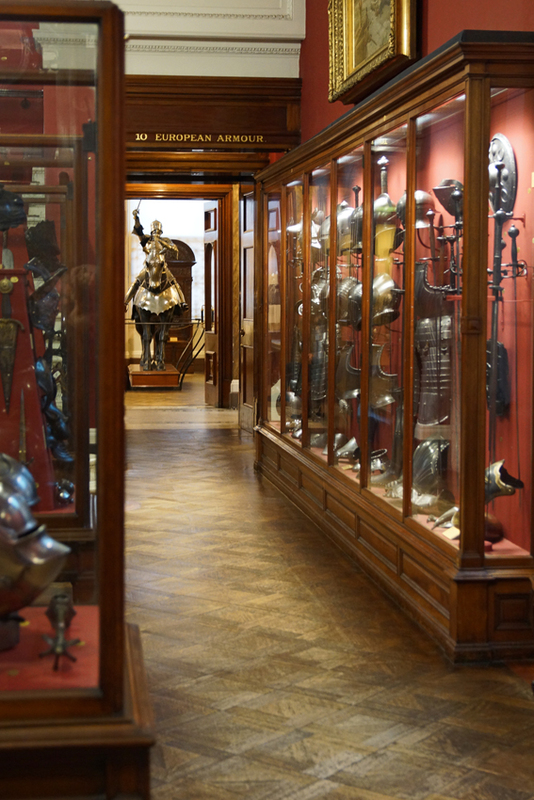 The Sinews of War runs until 31 December 2015; admission to it and the rest of the Wallace Collection is free. London's Royal Docks have changed drastically since the size of container ships meant that cargo traffic moved to Tilbury. They finally closed to commercial traffic in 1981, leaving the area in decline. 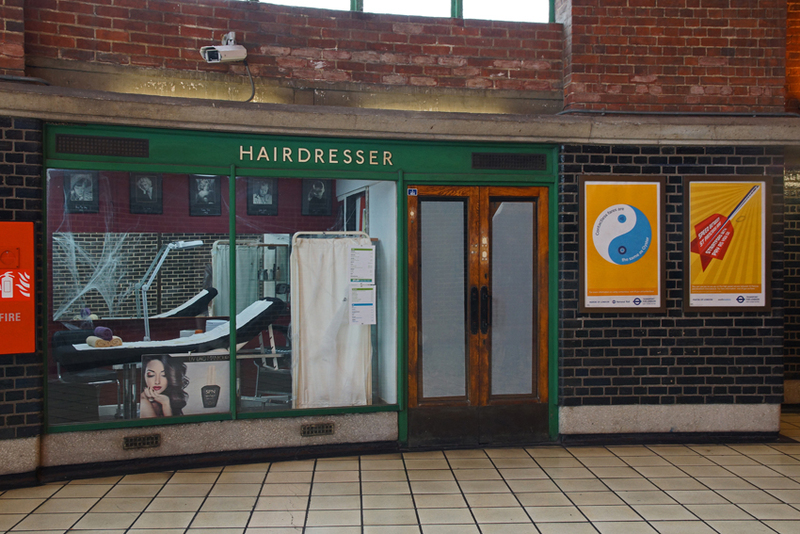 Further east and less well-connected than the Isle of Dogs, they didn't share in its breakneck transformation - but redevelopment has reshaped the area and is continuing. Royal Victoria Dock has new buildings such as the Crystal and ExCel Centre (not to mention one end of the lightly-used cable car); London City Airport sits between the Royal Albert and King George V Docks; the University of East London has a campus at Royal Albert Dock - and more developments are on the way. However, the Royal Docks Management Authority didn't want the area's history to be forgotten. 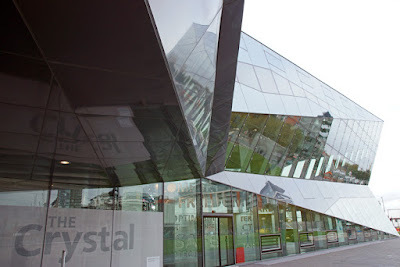 They have therefore sought out the stories of those who lived and worked around the docks in their heyday, and the first phase of the Forgotten Stories project was launched at the Crystal on Friday. It includes 28 films highlighting different aspects of life in the Docks communities. The contributors all have fascinating stories to tell - from the fun Stan Dyson had making his own gunpowder as a boy, to the hard working life of Patricia Holland's father who had to beg for work as a stevedore each day, and the tragedy of Johnny Ringwood's friends dying in a V2 rocket attack. The dock landscape may have altered almost beyond recognition, but these short films help to keep its past alive. Explore the Forgotten Stories films here. 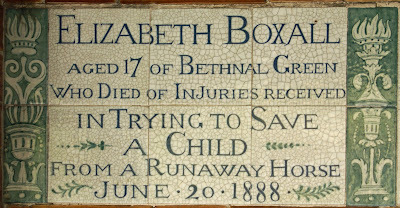 ELIZABETH BOXALL AGED 17 OF BETHNAL GREEN WHO DIED OF INJURIES RECEIVED IN TRYING TO SAVE A CHILD FROM A RUNAWAY HORSE JUNE 20 1888. At the inquest, by contrast, the injury was just the first point in a history of alleged medical negligence. There were claims that she was 'butchered in the London Hospital' and a verdict of death from shock following an operation there was given. This finding drew an angry response from William Nixon, the hospital's House Governor, who wrote to Lloyd's News to protest at the conduct and reporting of the inquest. A history of Elizabeth Boxall's life after her attempted rescue can be reconstructed. She was kicked by the horse, and the injury did not heal but was further damaged by a fall. On the day of the fall, Boxall was taken to the London Hospital and cancer was found in the broken limb. An emergency amputation was performed, and for several months she seemed to be recovering but then the cancer recurred. A higher amputation of the limb was performed, following which Boxall was sent to Folkestone to convalesce. However, in June it became apparent that the cancer had spread to her lungs and she was sent home. The first the hospital heard of her death was the newspaper account of the inquest. Nixon was sceptical of whether a jury aware of the facts could have found that Boxall died from shock four months after the operation.